Challenge your friends to see if they can do better — will you share the quiz now? Surprisingly, bats can see almost as well as humans. Did you know? UK bat populations have declined alarmingly over the past century, although some species have recently shown signs of recovery. Daddy longlegs – the common name for the crane fly – is not venomous, either to humans or other creatures. Did you know? There is growing worry about the state of our insects. For example, 76% of UK resident and regular migrant butterfly species have declined over the past four decades. Atmospheric pressure drops before stormy weather and most birds can feel this change. Some birds fly low as a result – which used to help farmers predict the weather. Did you know? Over a quarter of all British birds are under threat. Earthworms have a head – it's the end closest to the swollen band. If you cut below the band, the head may survive, but it doesn’t form two worms. Did you know? Earthworms are excellent at keeping our soils healthy. Evidence suggests some pesticides are harming earthworms. You won’t get warts from toads, though you might get them from a handshake with someone who has warts on their hand. Did you know? UK populations of the common toad have fallen by 68% in the past 30 years. Most birds aren’t great at identifying smells and won't notice a human scent. 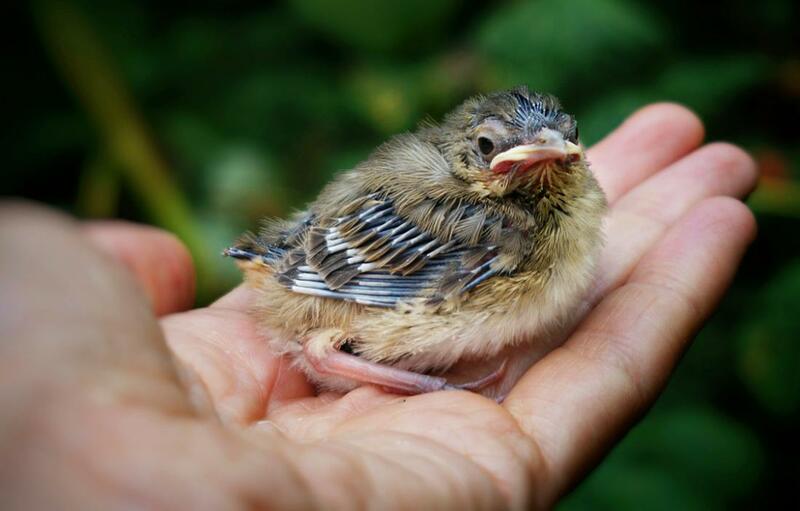 Please don’t pick up a baby bird unless you’re absolutely sure it’s been injured and needs help. Did you know? The song thrush, skylark, lapwing and house sparrow are among many species in the UK in shocking decline. Many of us swear dock leaves soothe nettle stings. The evidence we’ve seen suggests this might be due to general cooling, or even a placebo effect, rather than chemicals in the dock leaves counteracting the stinging. Did you know? Using weedkillers to get rid of docks and other plants can destroy vital habitats for pollinators. A honey bee is fatally wounded after stinging if its barbed stinger gets caught as it flies off. Bumblebees and native solitary bees have smoother stingers that don’t get snagged. Did you know? In the UK we’ve lost around 13 species of bee, and 35 others are at risk. Think we’ve got it wrong? I got out of 8 right. Can you do better in this wildlife quiz? Does a bee die when it stings? Can birds predict the weather? Test your knowledge. Become a part of the world’s largest community of people driving change for a better environment. From the Endangered Species Bill to The Countryside and Rights of Way Act, it's the support of people like you that makes our work possible. Your donation to Friends of the Earth Charitable Trust will help us protect the wellbeing of people and planet, including our work to protect nature.